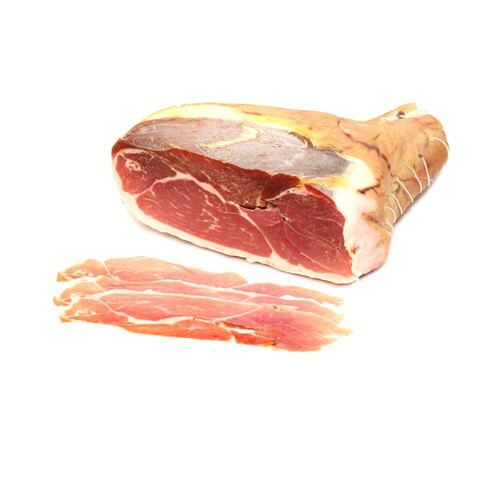 Another prized item from Italy, Prosciutto di San Danielle originates in the Friuli region of Northern Italy. Cured using only sea salt and aged for 1 year, it has a rich and sweet flavor with a velvety texture. The unique climate and dry air from the mountainous region gives it its sweet and supple flavor.